North Carolina's largest city is a hub of sleek skyscrapers and culture-filled museums fit for royalty. Its nickname is the Queen City, after all. 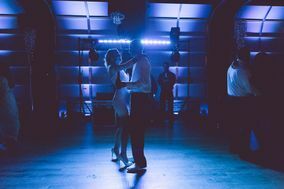 But this place isn't just a nice backdrop for your Big Day, it's also home to Charlotte DJs. 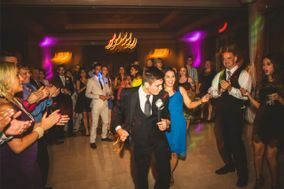 No matter what kind of wedding venue in Charlotte you choose, your entertainer can mix music to match. 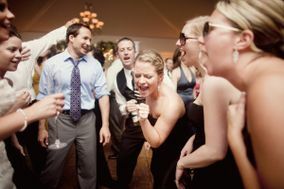 When you find the right DJ or wedding band, you know. But that moment doesn't come until after a bit of searching. 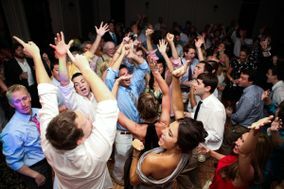 The perfect wedding DJ in Charlotte is out there, so why not start looking while you still have plenty of time? 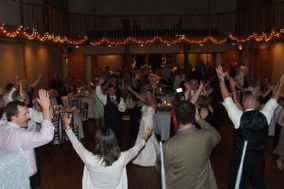 Many wedding DJs fill up their schedules quickly, especially the most experienced and the best-priced. 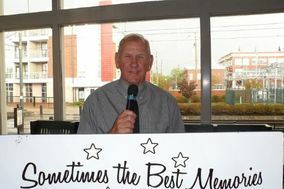 Local rates are comparable to national ones at an average range of $700-$1,400. 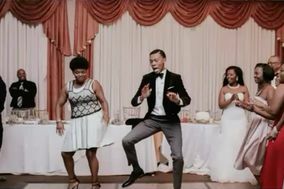 That means you'll have the best chance of sticking to your wedding budget the earlier you start. 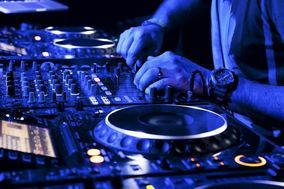 Just be sure you negotiate with your DJ and understand exactly what's included in their rates. 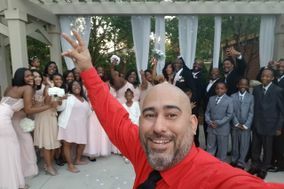 Couples who have never hired vendors before may feel intimidated by interviewing potential Charlotte DJs in person, but it's really the best and fastest way to make your choice. 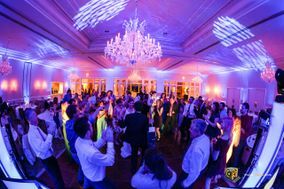 Meeting a wedding DJ face-to-face will give you the chance to ask a lot of questions, as well as get a feel for the DJ's style. 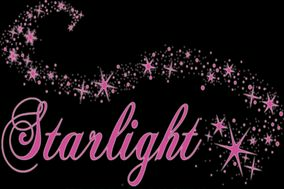 Start with the basics like pricing, availability, and services offered. 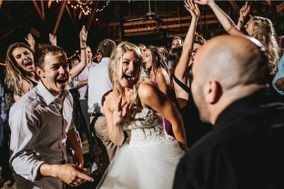 Then you can move into more complex requests like video clips of the DJ entertaining at another wedding or specific policies on taking requests and accepting no-play lists. 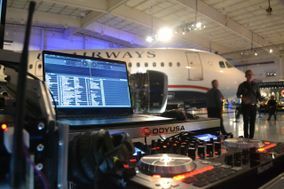 Ultimately, the right Charlotte DJ services will fit into your vision, so ask about whatever matters most to you. 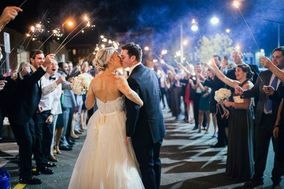 Keep track of DJs and other vendors with our wedding vendor manager. 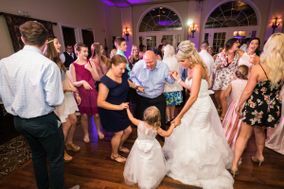 Master of Ceremonies, entertainer, announcer, and coordinator: these are just some of the hats your wedding DJ in Charlotte can, and probably will, wear. 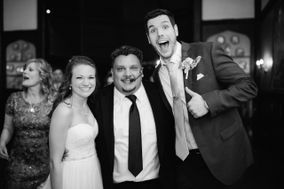 Having such a versatile and experienced vendor on your team on the day of your wedding can be a huge help, but only if you take advantage of all they have to offer. How? By tacking down any lose ends and getting on the same page beforehand. 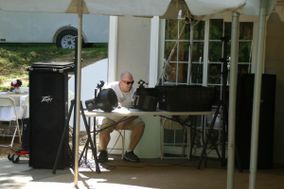 To begin with, settle on a schedule for setup and cleanup for your Charlotte DJ services. This ensures plenty of time for both. 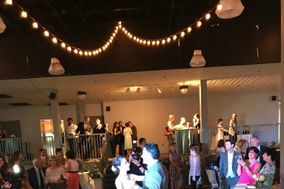 Ask your wedding DJ about creating a backup plan in the event of an emergency and if possible, walk the venue with your chosen wedding DJ before your Big Day.